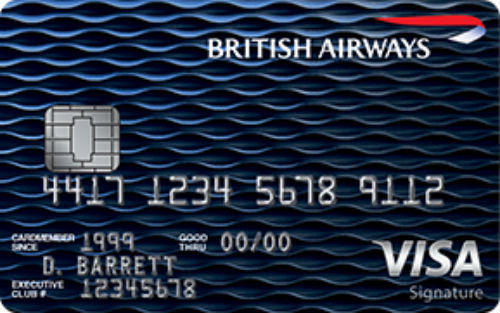 British Airways Visa Signature Card Worth It? 100000 ($1000 worth) avios bonus points is a good promotion of the card. You can redeem your avios points at multiple airlines. It can be a good credit card if you are travelling abroad very often. 3x avios points on purchases from British Airways, Iberia and Aer Lingus is good. Annual fee is very good for this card. Rewards could be better on purchases other than airfare. 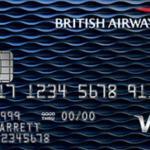 British Airways Visa Signature Card is a flight credit card which is beneficial for those who are visiting abroad often. The card provide bonus avios points for their users. 1 bonus avios is equal to one cent. You are going to earn 1 avios per $1 purchases with this card. However if you purchase from British Airways, Iberia or Aer Lingus, the avios rate is going to be 3x. So you are going to earn 3 avios for each $1 purchases from those airlines. There will be opportunity for you to redeem your avios in multiple companies. The other upside of British Airways Visa Signature Card is bonuses. You will able to earn 100000 bonus avios as a sign up bonus. This is equal to $1000 rewards points. However you will need to spend to get those bonuses. You are going to get 50000 bonus avios in $3000 worth purchase in 3 months. Get extra 25000 avios when you spend $10000 in the first year. If you reach $20000 spend in the first year, you are going to get another 25000 bonus avios. Annual fee of the card is very good when you think about sign up bonuses and avios opportunities. However interest rates and fees are high. You will need to make a good calculation before applying this card. Sometimes a low interest card can be more profitable than rewards cards like this. You can see editor scores and rates of British Airways Visa Signature card below. 17.99% – 24.99% 3x avios when you purchase from British Airways, Iberia and Aer Lingus.